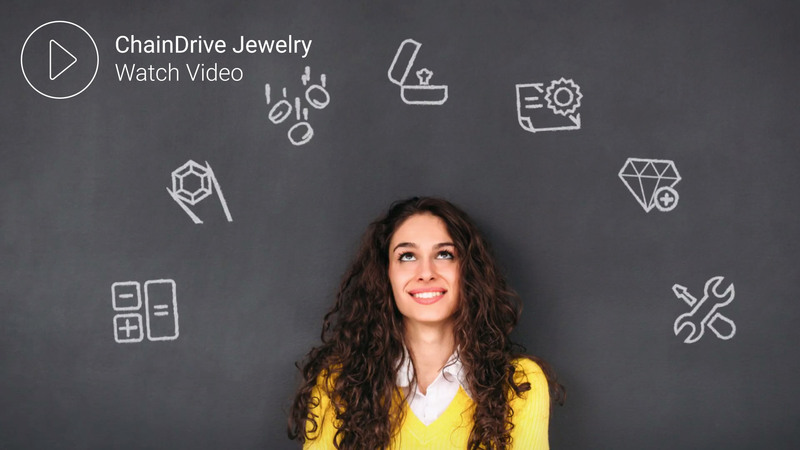 Discover the Jewelry Industry’s leading software provider, ChainDrive Jewelry. 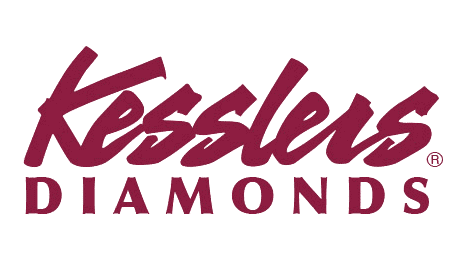 A one-of-a kind retail software exclusively designed and developed for today’s Jewelry Retailer! Thank you for your interest in ChainDrive Jewelry! Please fill out the form to download the ChainDrive Jewelry Fact Sheet. Want to see ChainDrive Jewelry in action? Request a Demo! 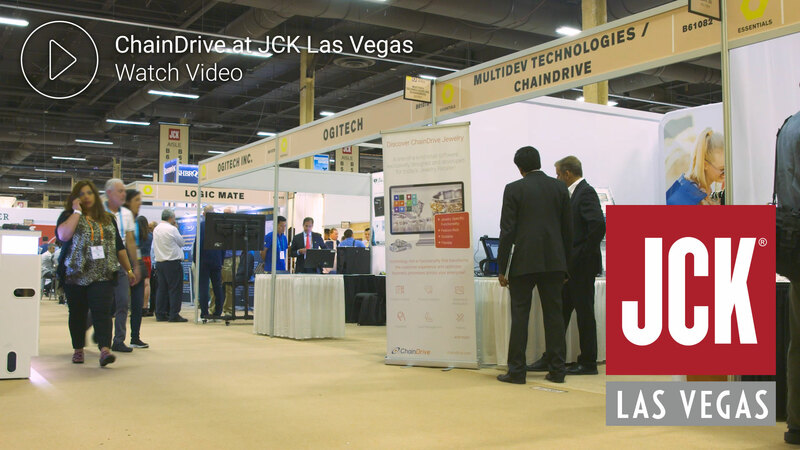 Join us in the Essentials & Tech area Booth 55080 and be a part of the unveiling of our latest version of ChainDrive Jewelry Software. Our jewelry software experts will be on hand to demonstrate the most modern, technologically advanced and user friendly software on the market! BOOK YOUR SHOW APPOINTMENT today! We’ve drawn years of trade experience from key industry experts and have tailored and developed software that clearly understands the intricacies of jewelry retailing.We recognize that Jewelry retailers conduct specialized processes which require key software functionalities that can handle the complexities of their industry. Whether a retailer, etailer, wholesaler or a combination thereof ChainDrive Jewelry is the solution for you! Configurable for every user, the flexibility and sophistication of ChainDrive allows jewelry retailers to customize key functionalities specifically to suit their unique needs. Transparent at the Point of Sale and working in unison with the entire ChainDrive suite of components, these specific features and functions exclusively developed for Jewelry retailers are just a sample of the many that comprise ChainDrive Jewelry. ChainDrive Jewelry combines the power of our omnichannel software along with vital jewelry principles, processes and elements to provide today’s jewelry retailer with the most comprehensive software on the market. ChainDrive POS is engineered to simplify sales processes and align jewelry retailers with the specific tools they need to improve their overall store operations. The ease of use of our point of sale enables salespeople to sell more effectively by providing them with instant insight into product details, customer preferences and purchase history. Dynamic CRM/Clienteling along with mobile capabilities allows you to make personalized, meaningful connections with your customers anywhere throughout the store. Maintain and retain life-long relationships by offering tailored promotions and exclusive loyalty programs. Merchandise management and inventory control is crucial for the jewelry industry. Designed to keep track of your merchandise, ChainDrive Jewelry compiles a detailed audit trail of inventory, giving insight into inventory movements and transaction history. Optimize your inventory based on your top customers’ collections and preferences and easily identify your top selling and non-selling inventory items. - Joe Skorupa, Editorial Director of RIS News.